The CMS' plan to allow Medicare Advantage plans to require patients to try low-cost generics before stepping up to more expensive therapies could have an unforeseen consequence: increased hospitalizations. The CMS announced late Tuesday that MA plans can impose step therapy on Part B drugs starting next year. 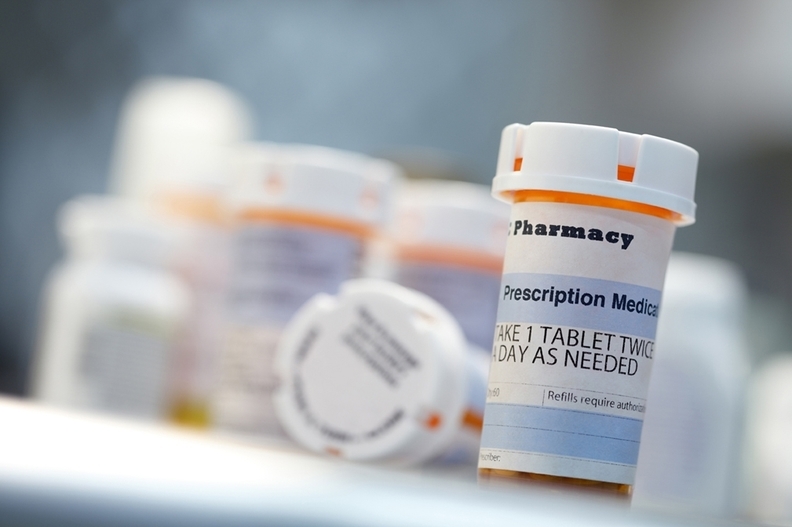 Step therapy allows a plan to determine whether patients should try a low-cost generic before working their way up to a costlier product if the initial treatment is ineffective. Making this change could delay what providers deem to be the appropriate treatment for a patient, according to Onisis Stefas, vice president of pharmacy operations at Northwell Health. "Unintended delays can lead to clinical inertia or a suboptimal clinical response in vulnerable populations," Stefas said. "A potential unintended consequence of this burden is providers seeking care for their patients in the emergency department or hospital setting." Part B drugs tend to be intravenously administered in physicians' offices and include chemotherapy, autoimmune drugs and vaccines. Oral drugs for kidney disease and intense nausea are also covered under Part B. Doctors say they have been able to keep chronic care patients out of the hospital because they can choose the most effective drugs. The new Medicare policy appears to take away that medical decisionmaking, according to Dr. Eric Wong, a neurologist and oncologist at Beth Israel Deaconess Medical Center in Boston. "We'll have to try medications that we know won't work on a specific patient," Wong said. That scenario also could put patients at risk for serious side effects that could force them to visit an emergency department or to be admitted to the hospital, Wong said. For patients with severe cases of rheumatoid arthritis or cancer, time is of the essence and step therapy can undermine attempts to treat those ailments before they get worse. Early use of effective treatment prevents irreversible joint or organ damage, according to Dr. David Daikh, president of the American College of Rheumatology. "CMS is instituting a policy that will make it much more difficult for patients to get this treatment in time," Daikh said in a statement. Doctor autonomy in Part B comes with risks that this new policy could mitigate, according to Jesse Breidenbach, executive director of pharmacy at Sanford Health in North Dakota. Hospitals don't always know if Medicare will cover a medication for a certain indication if it does not align with the list of FDA-approved treatments, Breidenbach said. "When this happens the patients are left wondering if it will be covered and are often concerned about being responsible for these medication costs," Breidenbach said. "This (policy change) would potentially alleviate that concern." Dr. Rita Redberg, a cardiologist at the University of California at San Francisco, said she doesn't agree that step therapy will lead to worse outcomes and increased hospitalizations. She regularly prescribes generics as the first course of treatment for her patients. "The FDA wouldn't be approving a generic if it weren't as effective as the brand name," Redberg said. Expanding step therapy will likely save Medicare money as drug companies will compete to have the lowest price offerings, Redberg said. Specialty drugs cost 50 times more than traditional medications with an average cost of $43,000 per drug per year, according to UnitedHealth Group. Since 2013, Medicare Part B drug spending has risen approximately 15% per year. Implementing utilization management techniques in Part B could create savings of up to $1 billion annually for the federal government, UnitedHealth estimated. Last year, MA plans spent $11.9 billion on Part B drugs. Kuo Tong, a managing director at the consulting firm Navigant, agreed that in Part D, generics tend to be as effective as brand drugs. However, that's not the case in Part B, where there is greater use of personalized medicine and biosimilars. He echoed the belief that step therapy in Part B could lead to increased hospitalizations but said it's unclear if it will lead to a significant revenue bump for hospitals. MA plans tend to require risk-based capitated contracts that give a hospital one amount to cover a patient's care. If there are increased hospitalizations, that could lead to losses since the cost of the visits would surpass the capitated payments received by the hospital. Hospitals executives say they are also worried the new policy will lead to greater administrative burden. Under the policy, each drug tried as part of step therapy would require prior authorization. In addition, insurers often erroneously deny prior authorization claims, according to Sandra Sutton, system director of revenue integrity at Baptist Health in Louisville, Ky.
Those wrongly denied claims could rise as providers obtain more prior authorizations, leaving hospitals with the added burden of appealing erroneous denials. "This will not only consume provider resources but can also cause a delay in patient care and ultimately result in poor outcomes for the patient," Sutton said.